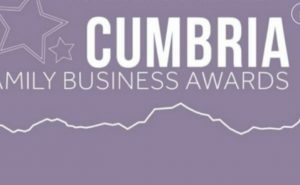 We are overjoyed to announce that we have won the award for Large Hotels, Leisure & Tourism at the 2019 Cumbria Family Business Awards. 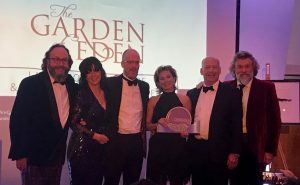 The awards took place at the Low Wood Bay Resort & Spa in Windermere on Friday night and were hosted by Hairy Bikers, David Myers and Simon King. 16 family businesses from across the region received awards on the night and we couldn’t believe our ears when they announced that we had won our category. As a result of winning our category, we will now be entered into the national Family Business of the Year Awards which take place in June at The Mayfair in London, so cross all your fingers and toes for us and stay tuned for an update in a few months time! October has finally arrived, which means its time to embrace the Halloween spirit! 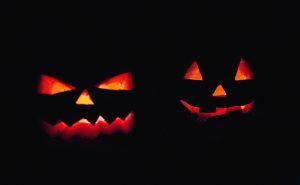 What better way to celebrate the spooky season than to join us for our Gin & Pasta Halloween night? On Friday 26th October, enjoy a fun-filled evening of food, cocktails and dancing! We'll also have the Tipsy Filly bar and a special raffle in aid of Eden Valley Hospice & Jigsaw. To celebrate receiving our license to host civil weddings and partnerships at the Garden at Eden, we have put together a midweek wedding offer for small wedding parties. 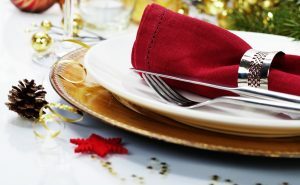 Couples can book a ceremony and three-course wedding breakfast for up to 50 guests at the special rate of £2,500. This applies to weddings booked between March and December, and winter weddings of the same size booked in January and February are priced £1,750. For smaller more intimate celebrations, our midweek offer is also running at the Clubhouse; intimate weddings of up to 30 guests with the same package are priced £1,350 (March to December) or £900 (January and February). To find out more about our midweek wedding offer, or to arrange a viewing of our award-winning wedding venue in Carlisle, you can email us at info@gardenateden.co.uk or call 01228 573 003. 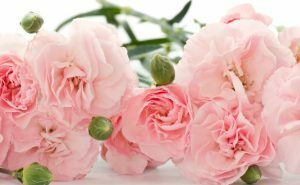 Celebrate Mother's Day in style with a delicious three-course carvery lunch at The Garden at Eden from 12pm - 2:30pm. It's just £21.95 and includes a small gift for Mum. To book call us on 01228 573003 or email info@gardenateden.co.uk Like our Facebook page and follow us on Twitter to stay up to date with the latest news and events! If you are looking for a unique venue to hold your wedding ceremony or just have your reception then The Garden at Eden is the ideal location. 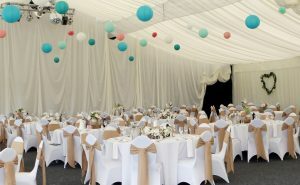 We are showcasing the marquee dressed for a ceremony and reception and would love you to come and have a look. You can either call in between 10am – 4pm or call Carol on: 01228 573003 or email: carolclarkeayre@edengolf.co.uk to select a time to view and discuss your requirements in detail. The Garden at Eden is ideal for dinner dances, christenings, parties etc. 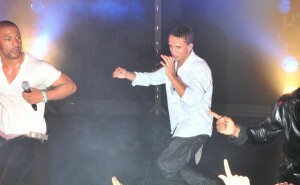 as well as weddings. Like our Facebook page and follow us on Twitter to stay up to date with the latest news and events! Winners of Best Celebration Venue 2014! Set in a stunning, private location, resting upon the banks of the river The Garden at Eden is one of the largest and most versatile venues that Carlisle has to offer. The team at The Garden at Eden consists of Owner/Director Julie Wannop, Head Chef Steve Failes and Marketing & Events Executive, Hannah Davies alongside many other hard-working bar and catering staff who are constantly working together to provide the latest and most innovative decoration, entertainment and catering ideas for a variety of events; whether it’s a wedding, christening, birthday, anniversary, Prom or corporate party. 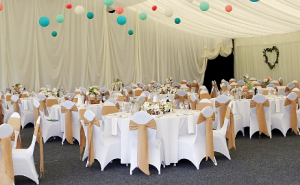 The marquee has experienced considerable growth as a result of some fantastic and memorable events that have taken place here. The venue has had the pleasure of welcoming a variety of talent locals through its doors over the years, such as musician Ben Draper, Andy Whitaker & Highly Strung and Room 101, Fashion designer Karl Bowman and some of the top names in the national Business sector such as Stobarts, Lloyds Group and Carrs Milling Industries, not to mention a few famous faces including: JLS, Little Mix, Footballer Michael Owen and some of Britain’s Got Talent favourites to name just a few. Hannah, who is the Marketing & Events Executive for the Garden at Eden explains how she feels the unique approach to their service has been able to set them apart from other local competitors and contributed to the venues continued success: “Our bespoke service allows us to provide events which are customised to the individual ideas and budget of each client; we don’t restrict you to any set or standard packages allowing for a more personal and attentive planning process; no one event is ever alike. As a result of the recession we understand that budget has become a real barrier for some customers and we hope that this bespoke approach will help them overcome this allowing them to still ‘dream big’ and achieve all of the aspirations of their event whatever their budget. As a team we’re passionate and dedicated to the service we provide and work tirelessly to ensure everything is taken care of to the highest standard of quality, from planning and researching your event brief, costing, catering, set-up and event supervision, saving you much of your precious time and allowing you as the host to relax and enjoy yourselves alongside your guests, which is at the end of the day what is all about.” On behalf of the whole team at The Garden at Eden we are extremely proud to have received the 2014 award for 'Best Celebration Venue' in Carlisle and look forward to hosting the awards ceremony once again in 2015.